Baking sheets are functional pieces of kitchenware designed to make baking a breeze. 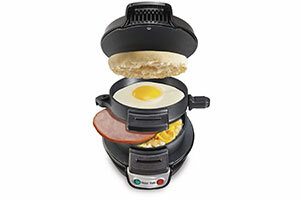 They are conveniently sized to fit perfectly into the oven and provide you with the results you need. What’s more, most baking sheets have a non-stick coating that makes food release unbelievably easy as well as making cleanup a snap. Some come in pieces while others come in singles; thus, there is something for everyone. Also, there are others that come with racks for cooling baked goods. Well, baking sheets are a wonderful addition to a kitchen. That’s why we encourage you to check out the following top 10 best baking sheets reviews. You have to go back to 1946 to really know how Nordic Ware was founded. 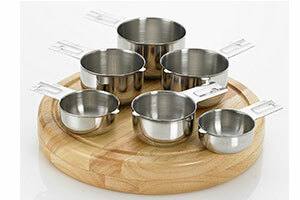 The company has vast experience in kitchenware, and that’s why it is loved by many. Their natural aluminum baker’s half sheet deserves a shout-out in these reviews because they are proudly made in the USA. 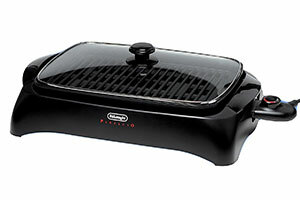 They are very versatile and you will be able to use them for warming, toasting, roasting, and baking. Their exterior dimensions are 17.88” by 12.88” by 1.06” and the interior dimensions are 16.5” by 11.38” by 1”. They have aluminum superior heat conductivity that enables them to bake evenly. They also have a reinforced encapsulated steel rim, which prevents warping. Although they are not dishwasher friendly, these baking sheets are easy to clean. That said, simply hand-wash them with warm, soapy water after initial use and after subsequent uses. Making savory and sweet treats should now be a no brainer. That’s because the Rachael Ray 47576 3-Piece Baking Sheet Set is just one click away on amazon.com. The set comes with 3 baking sheets to make sure baking in your kitchen is instantly transformed into a fun activity. The baking sheets are constructed with durable steel that will not warp. As if that’s not enough, they have long-lasting nonstick, which offers excellent food release as well as making them effortless to clean. 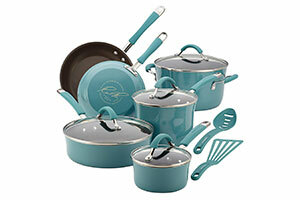 The pans come in three different sizes (small, medium, and large), so you can enjoy the convenience of three sizes. 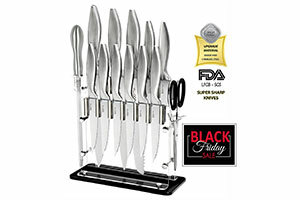 They are great for roasting stuffed eggplant, baking potato skins, and broiling cheesy garlic bread, among others. Their bold colored and extra-wide grippy handles will provide you with a confident grasp when pulling them from the oven. Most people are impressed with the size of this baking sheet. With that being said, the roasting & baking sheet measures 9.6 inches by 13.1 inches and the included cooling rack measures 8.8 inches by 12.2 inches by 1 inch. 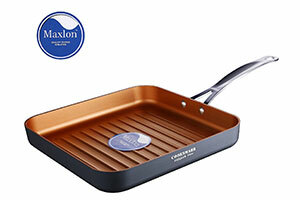 Both the pan and the rack are commercial quality; hence, expect exceptional results when you use them. Ideally, they can be used together by placing the rack inside the pan and then cooking food on top or used separately by baking items directly on the pan and then using the rack to cool whatever you have made. They can be used for various dishes and desserts such as roasting vegetables, baking sweet treats, cooking bacon, and making crispy chicken wings under the broiler. The pan will not warp and the rack will not rust because both of them are durably constructed. This set includes one large half sheet pan measuring 17” by 11.5”, one medium sheet pan measuring 15” by 11.5”, and one quarter sheet pan measuring 13.5” by 9”. The sheets are differently sized to give you the much-needed convenience in the kitchen. With them, you will be able to make bulk batches of oven-baked goodies. Their professional quality makes them reliable and easy to deal with. Furthermore, these baking sheets have a food-grade nonstick coating both on the interior and exterior. Well, the coating enables them to resist scratch and rust as well as making them easy to clean. You will also have an easy time releasing food from these pans because of the aforementioned non-stick coating. The pans are lightweight yet tough, considering that they are made of heavy-duty carbon steel, which disperses weight and heat to ensure perfectly baked treats. The thought of having baking sheets made of chemical coatings is dreading. That’s why we recommend for you the TeamFar Stainless Steel Cookie Sheets. They are made of high quality and non-toxic 18/0 stainless steel material to give you peace of mind knowing that no chemical will leach into your body when you use them. The stainless steel is rust resistant and durable, making the sheets strong enough to hold up to everyday use. 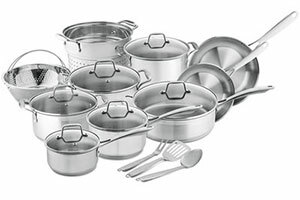 Best of all, these pans are processed with an excellent mirror finish to help their surfaces reduce the risk of sticking. They also have a smooth roll edge with no rough spots to make them comfortable to hold and transfer. They come in two sets, which are one large pan (15.8 by 12 by 0.95 inches) and medium pan (12.4 by 9.6 by 0.95 inches). Quality matters if you want to use your baking sheets to the fullest. That being said, the New Star Foodservice Sheet Pan is constructed with pure aluminum that will never rust. This means you will use it again and again to make restaurant-quality cookies. It is half size baking sheet, which measures 13” by 18” by 1”. As such, it fits perfectly in many ovens. The sheet pan is also available in other sizes including 1/4 size, 1/8 size, and full size. 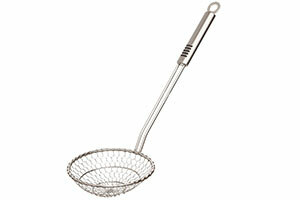 Ideally, it features a wire reinforced beaded rim that helps prevent warping. 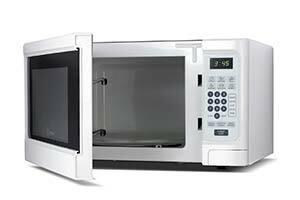 The aforesaid aluminum construction delivers superior heat conductivity, thereby, enabling it to bake evenly. The pan is great for fruit cobblers, cinnamon rolls, cookies, sticky buns, cornbread, brownies, and yeast rolls. Both of these baking sheets measure 16” x 12” x 1”, so they can meet most of your daily baking and roasting needs. They are also great for use as serving trays, cookie sheets, and more. They are solidly constructed and have a proper weight. As such, they will feel sturdy in your hands. The solid construction makes them durable and rust-free for a long service time. Furthermore, these baking pans feature deep full sides all around to ensure that food juice does not flow everywhere. In other words, the deep full sides help keep the oven neat. The baking pans are safe to use, and this is because they are made of top quality 18/0 stainless steel that does not contain any chemicals. In addition, these pans have a superior mirror finish to reduce the chances of your food sticking on the surface. Good Cook knows that you need differently-sized baking sheets to have real fun baking things. With that being said, they provide three differently-sized non-stick cookie sheets. Well, these include a small pan, which measures 13” by 9”, a medium pan that measures 15” by 10”, and a large pan, which is 17” by 11”. What’s more, Good Cook has constructed these baking sheets with a heavy-duty non-stick coating to help make them much easier to clean after each use. The cookie sheets boast an updated design 2015, meaning they are super durable and capable of withstanding everyday use. The manufacturer provides a lifetime guarantee when you buy the cookie sheets because it believes in their durability and functionality. Overall, these pans come in 3 sizes to make sure there is something for everyone. A piece of bakeware that will hold up to everyday use is exactly what you need. And this is where the Wilton Non-Stick Large Cookie Pan comes into play. It boasts heavy-duty cold-rolled steel construction that enables it to stand up to everyday use. 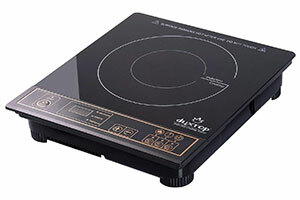 It also features a non-stick coating and has oversized handles, which make it easy to insert and take out of the oven. The non-stick coating makes cleaning a breeze once you are done using the cookie pan. Since it is designed with versatility in mind, this large cookie pan will prove handy for making muffins, pizza, loaves, and cake pans. It is dishwasher safe; hence, caring for it will not be a problem. Wilton was founded in 1929 and since then, it has been helping cake decorators and home bakers achieve their goals. It tends to pop/twist when in the oven, but goes back to flat once cooled. So, this should really not be an issue. It is more than half a century since USA Pan was founded yet they still move masses with their top quality bakeware. The 1607CR extra large sheet baking pan is one of their products; therefore, expect nothing but the best performance ever. The set includes an extra large sheet pan and a cooling rack to help meet all your baking needs. 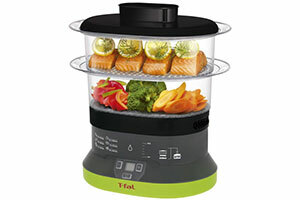 They combine to create a versatile piece of kitchenware that you can use to roast cookies, vegetables, and cakes. Additionally, they are crafted with commercial grade heavy-gauge aluminized steel, so they can stand up to abuses and everyday use. The rack measures 19.75” by 13.62” by 0.5” and the pan measures 20.25” by 14.75” by 1”. The rack features a crosswire design and 6 raised feet for uniform cooling and superior stability. The baking sheet, on the other hand, features a unique corrugated surface that facilitates air flow to ensure quick release and even baking of goods. Whether you want to roast veggies, cook bacon, or bake cakes, the above baking sheets are for you. They distribute heat evenly to provide you with restaurant-quality baked goods. They are also very durable, so they can hold up well to daily use. Needless to say, we are positive you will like the one you will spend your money on. 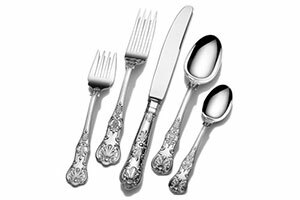 Top 10 Best Stainless Steel Flatware Sets in 2019 Reviews Buying Guide!